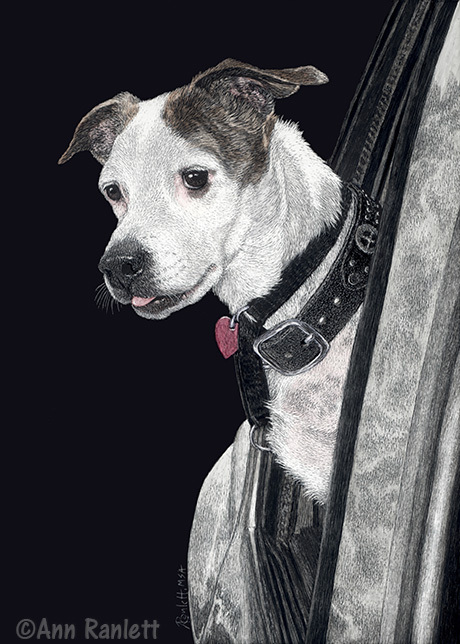 Ann Ranlett, MSA, is an artist & illustrator specializing in pet & animal portraits and nature subjects. She is a Master (MSA) member of the International Society of Scratchboard Artists and Associate member of the Society of Animal Artists. – Drawings accurately rendered in scratchboard, pencil, color pencil, or mixed media. Wondering where to buy Ann’s art? Ann sells her work through a number of on-line venues, visit the Buy Art page for more information. For a current list of all her available originals, please see Ann’s Facebook album.